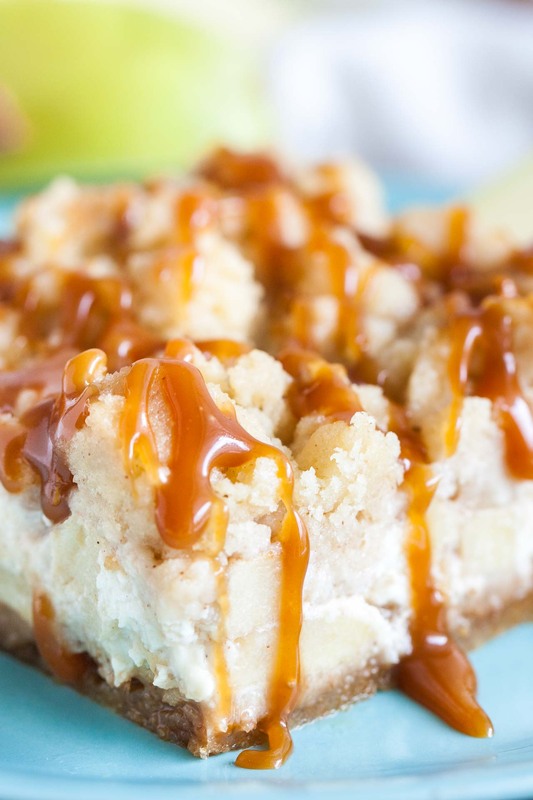 Caramel Apple Cheesecake Bars have three delicious layers and are the perfect fall dessert! A graham cracker crust topped with a creamy cheesecake layer loaded with cinnamon spiced apples and cookie-like streusel and salted caramel on top. 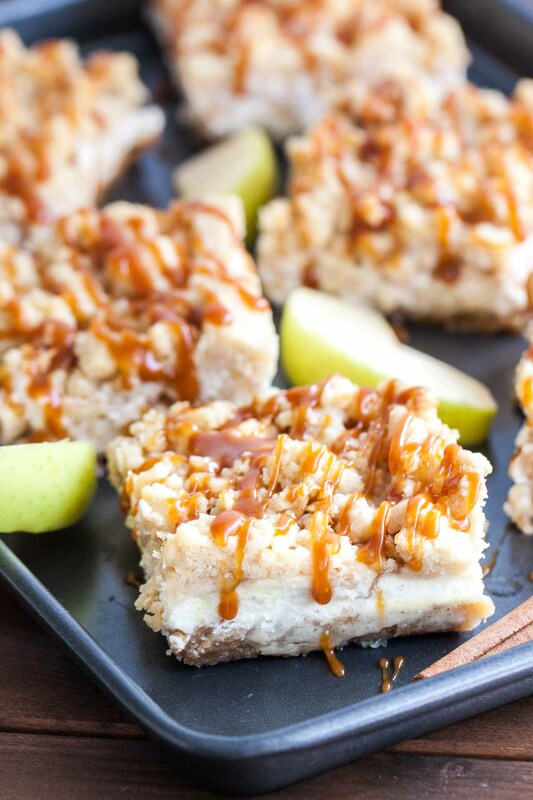 Caramel Apple Cheesecake Bars will be your favorite apple bar recipe this season! 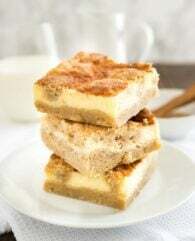 These bars combine the deliciousness of my popular Apple Streusel Sheet Cake and cheesecake bars into one perfect fall dessert. Move over apple pie! Between the rich flavors of salted caramel and cinnamon spiced apples to the tempting layer of cream cheese and cookie-like streusel, this will be your new favorite fall recipe. 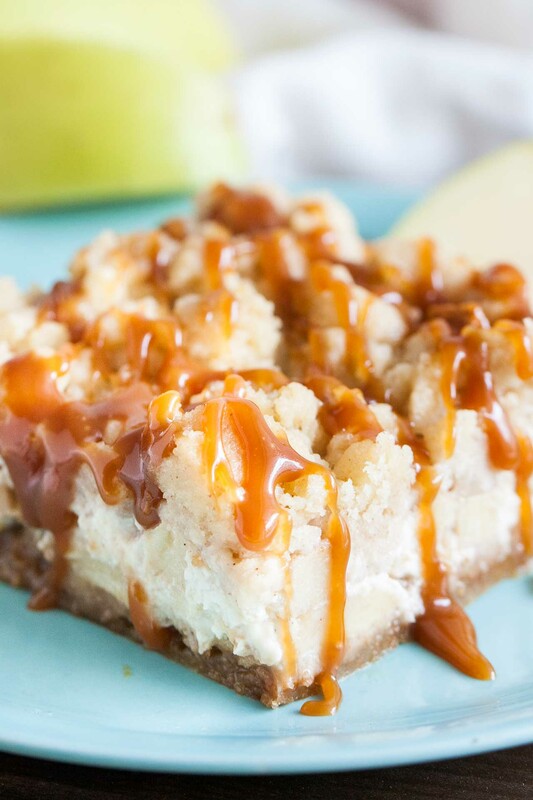 My cheesecake caramel apple bars are always gone in seconds so you better be quick! 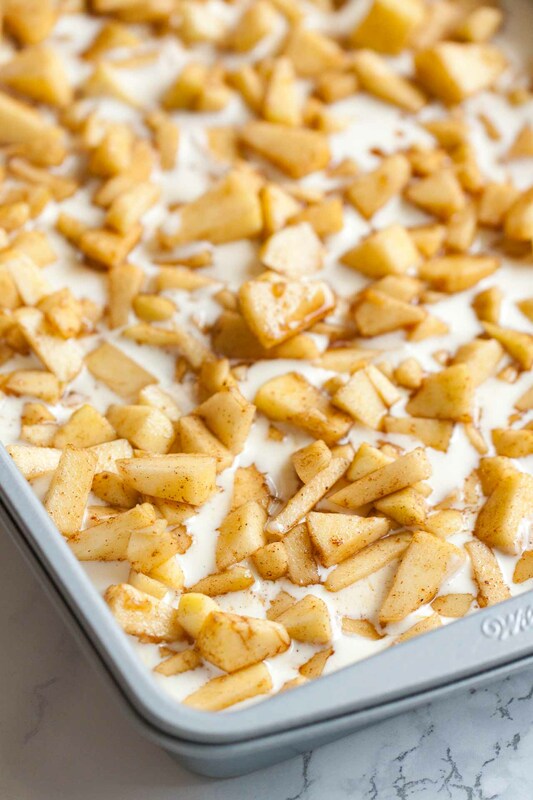 The only “bad” thing about this apple bar recipe for me as an impatient person is that they take a few minutes to prep and they need to chill before slicing, but those tasty layers are so worth it! Your house will smell like a bakery while the bars are baking! 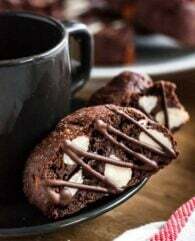 For easier slicing and serving line the baking pan with aluminum foil or strong parchment paper and leave an overhang to lift out the bars after chilling them in the fridge to set. Crush the graham crackers yourself! They taste fresher and better. If you can’t find graham crackers you can also use digestive biscuits or other plain whole wheat cookies. Crush them in a food processor or put them in a zipped top bag and crush them with a rolling pin. Tart apples work best for this recipe but sometimes I use what I have on hand and they taste delicious too. I like to peel the apples because I like the texture better in this recipe. Instead of two 8 oz brick-style cream cheese, you can also use one 8 oz cream cheese and 1 cup Greek yogurt. I always use full-fat cream cheese and yogurt but to make this recipe lighter you could also try using fat reduced (not fat-free) cream cheese and fat reduced or fat-free Greek yogurt (like Chobani 0% fat, plain for example). The bars need to chill before slicing them into squares. I find that refrigerating them overnight works best! Don’t slice the bars too early because they will likely fall apart. The bars keep fresh in an airtight container for up to 5 days in the fridge. Let’s start baking! The recipe begins with a super easy buttery graham cracker crust that’s topped with a creamy cheesecake layer. Then cinnamon-spiced apples are spread all over the simple cheesecake layer. 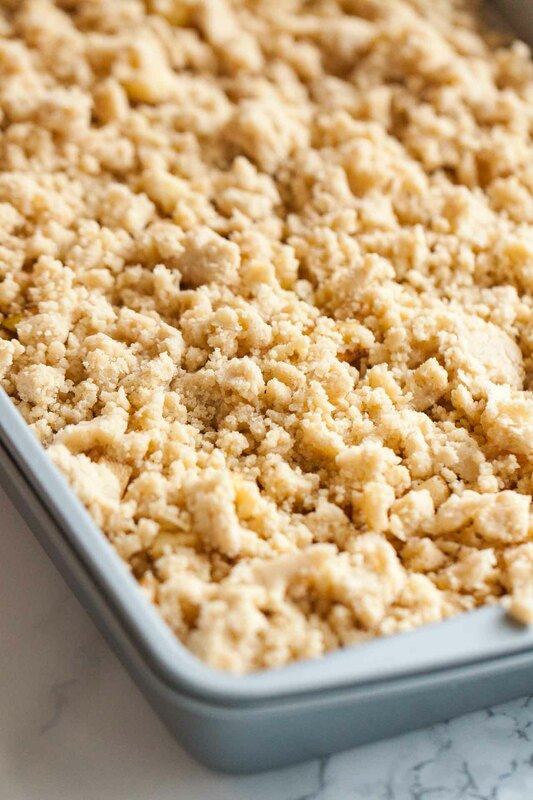 The last step before baking is making the streusel topping. I love big cookie-like German streusel! 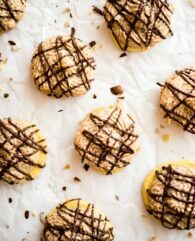 You want to use your hands and press the crumbs together to form bigger ones to get the cookie-like texture everyone loves. When the apple crisp bars come out of the oven drizzle the caramel sauce on top and let cool for 1 hour. Then transfer the pan to the fridge and chill until set before cutting into squares. I find chilling overnight works best and makes less of a mess! Caramel Sauce: This caramel sauce is thick and comes in a squeezable bottle. It’s a good alternative if you can’t get the Trader Joe’s caramel sauce which tastes better in my opinion. But the best caramel sauce is a homemade one! I love the recipe for salted caramel sauce from Sally’s Baking Addiction. 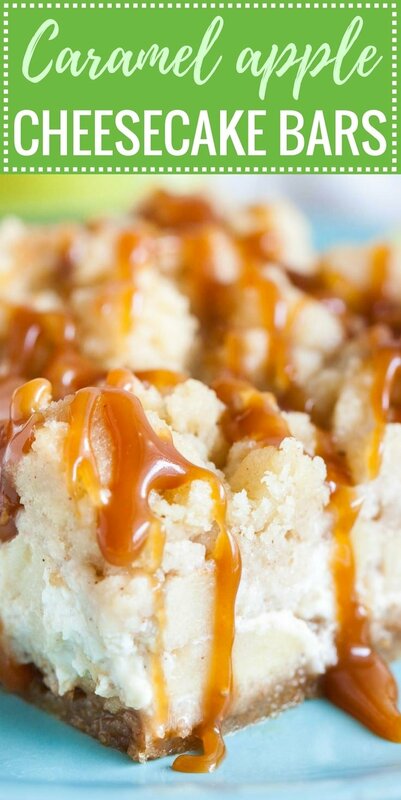 Easy Caramel Apple Cheesecake Bars have three delicious layers and are a perfect fall dessert! 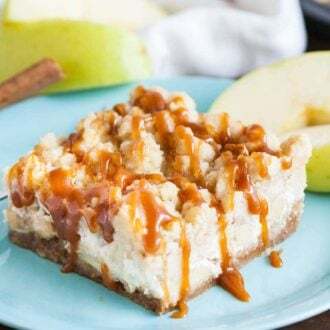 A graham cracker crust topped with a creamy cheesecake layer loaded with cinnamon spiced apples and cookie-like streusel and salted caramel on top. Preheat oven to 350°F (180°C) and grease a 9x13-baking pan with baking spray. 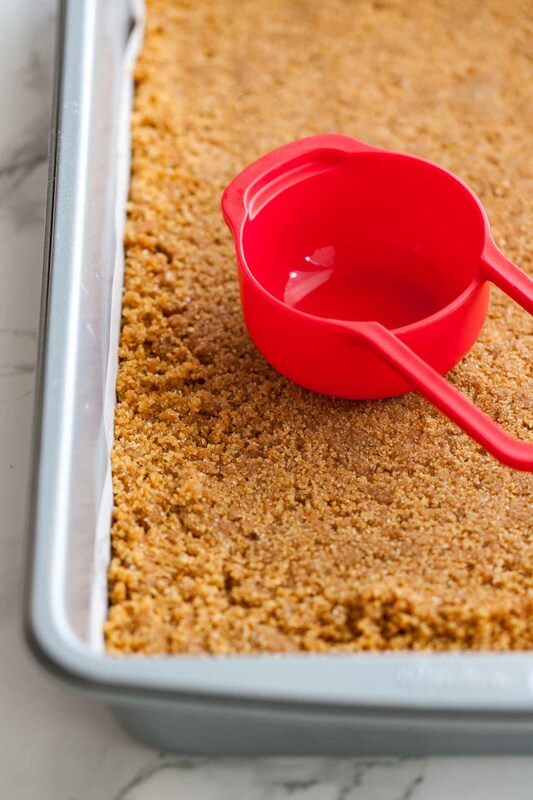 Combine the graham cracker crumbs, melted butter, and sugar with a rubber spatula. Press mixture into the bottom of the pan. The crust should be tight and compact, I like to use the bottom of a measuring cup to press the mixture into the pan. Pre-bake the crust for 8 minutes. While the crust is baking make the cheesecake layer: In the bowl of a stand mixer fitted with the paddle attachment beat cream cheese, sugar, and vanilla until smooth, about 1 minute. Add eggs and beat on low speed until just combined. Spread over the slightly cooled crust. In another bowl, combine apples, brown sugar, cinnamon, and nutmeg. Toss until all the apple pieces are evenly coated. Spread over the cheesecake mixture. For the streusel topping: In the bowl of a stand mixer fitted with the paddle attachment beat the flour, sugar, cubed butter, and cinnamon together until you have a crumbly mixture, about 2-3 minutes. Distribute streusel evenly over apples. The streusel should look like in the picture above. Bake for 30-35 minutes or until filling is set. Drizzle with salted caramel sauce and let cool in pan on a wire rack for 1 hour. Then transfer pan to the fridge and cool for at least 3 hours. Cut into bars. can I make crust with an already baked salted caramel cookie ? These cheesecake bars look great!! Thanks for sharing!! !